Need a card to go with that perfect gift for that special someone this Valentine’s Day? Do they love chemistry related puns? Then McGill Chemistry Department recent graduate Nick Uhlig has you covered. 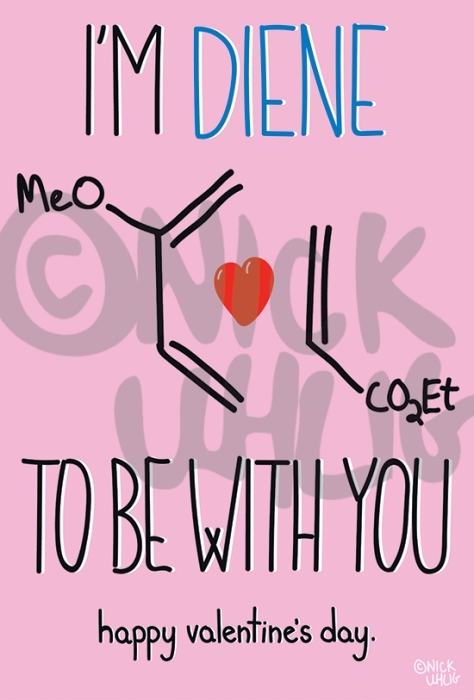 The Li lab alum has recently made available several charming Valentine’s Day cards through the online marketplace Redbubble. “I wanted to do it for a long time and kept saving up the ideas, but really only got to it after graduating.” says Uhlig, who now works as a medicinal chemist at Gilead Sciences’ in Edmonton, Alberta. “I did it mostly because I was sick of seeing the same ‘do it... periodically’ etc. type jokes. I wanted super brutal puns combined with chemistry nerdiness” And he certainly does pull that off. Check out all the designs at the included link. 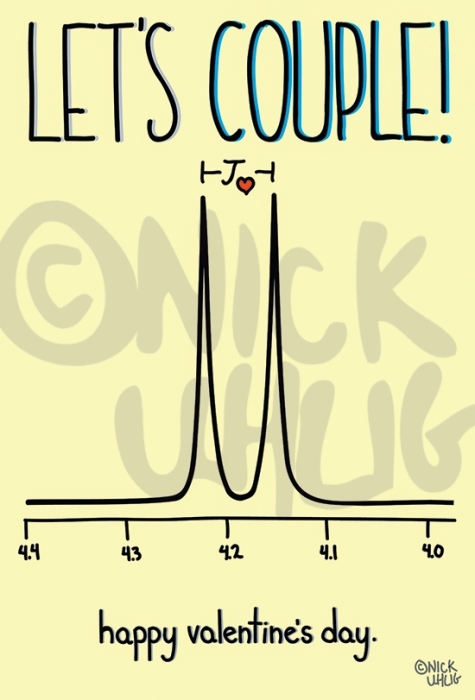 Who knows what kind of coupling reactions might happen? This news was recently covered by the American Chemical Society news magazine C&ENews.